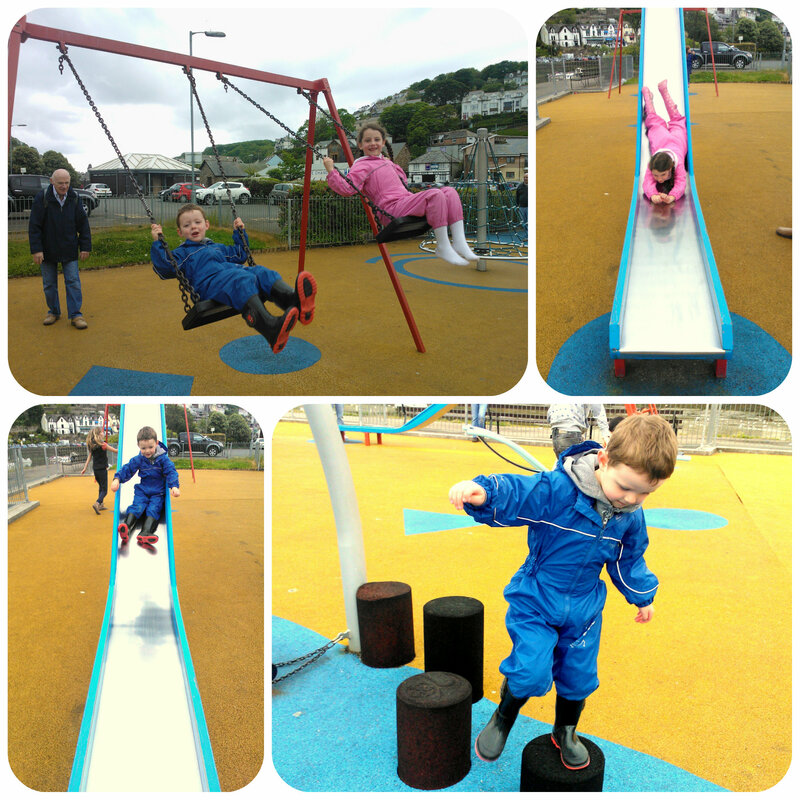 A few weeks ago, we ventured down to Looe in Cornwall for the day. 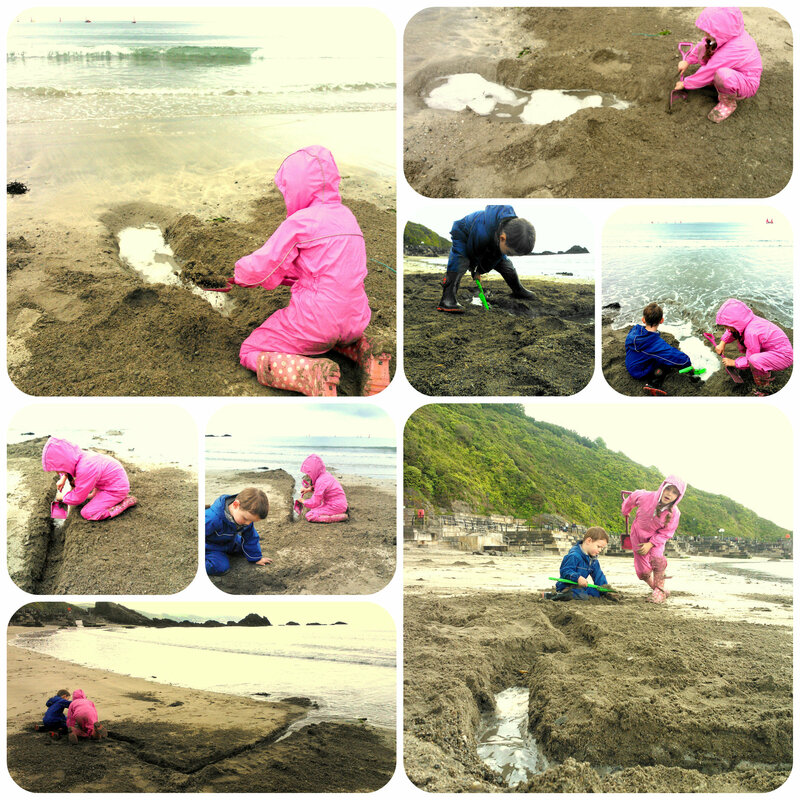 The husband was working and the children are always itching to get out and love the beach so Looe seemed like the ideal place to go without being too far to travel. The weather wasn’t as good as I’d hoped, a bit drizzly, but the children didn’t bat an eyelid as we parked up and walked off. We couldn’t help but walk past a rather fun play park at the end of the car park so I let them have ten minutes to run around. In fact the park was so good, I wished it had been nearer to home as it would be a great place to pop to for the children to have a play. 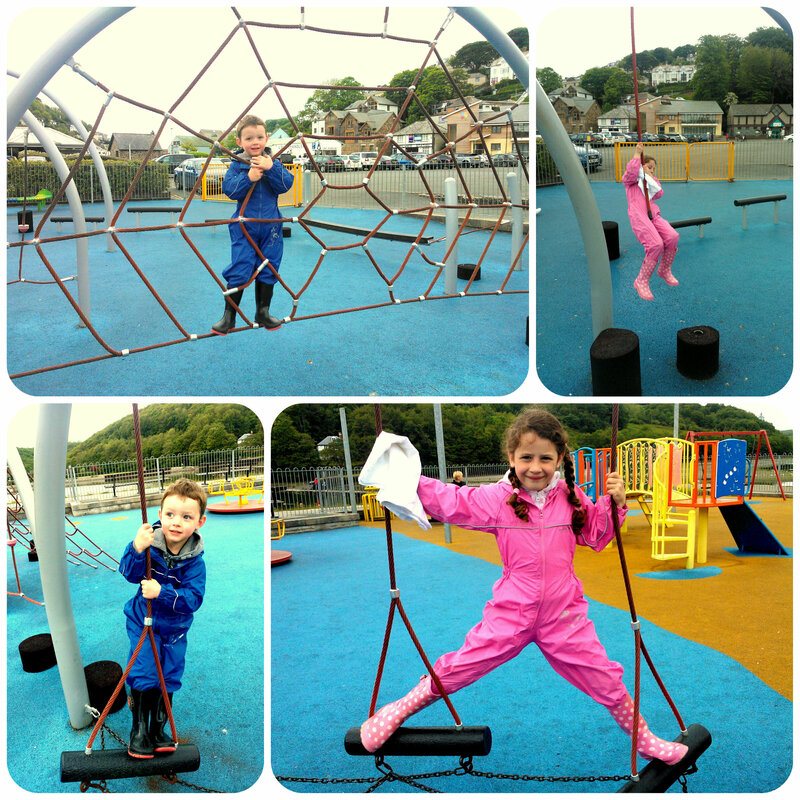 Mister B loved climbing a spider web like rope structure to be like his favourite superhero “Spiderman”. Miss M was at home on all the ropes and swinging paraphernalia being the action girl that she is! With swings, slides, things to climb on and lots of rope activities, they could have stayed here all day, but we soon headed down towards the beach. The children were delighted when they saw the vast sandy beach in front of them, Miss M ran straight down to the water to fill the buckets whilst Mister B couldn’t wait to start digging in the sand. He happily built himself a little castle and found a feather to put on top. 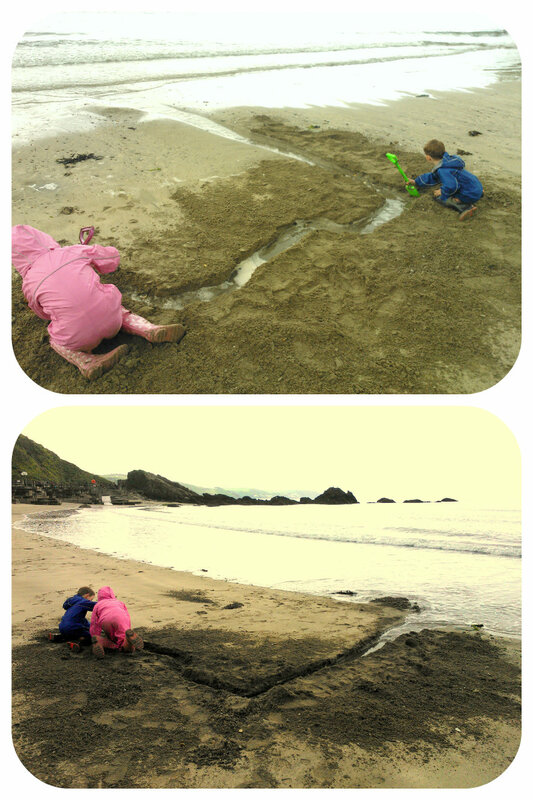 They both played happily in the sand before deciding to dig a hole by the sea. 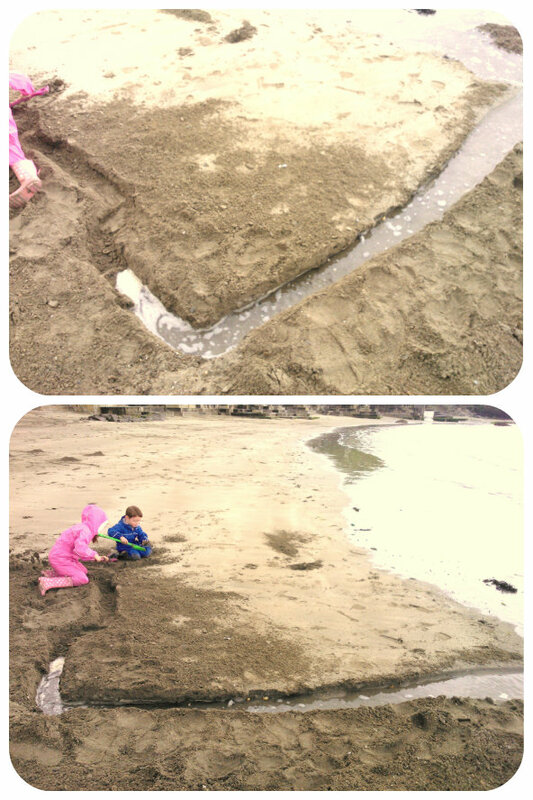 The tide was coming in so they dug faster and faster eager for the sea to fill their hole, and when it did they excitedly giggled before encouraging each other to dig even quicker to make a longer river for the sea to fill. As you can see the finished river was quite long and if it wasn’t getting a little chilly and the sea wasn’t coming in quite so fast, I think they would have been happy to stay their until bedtime! 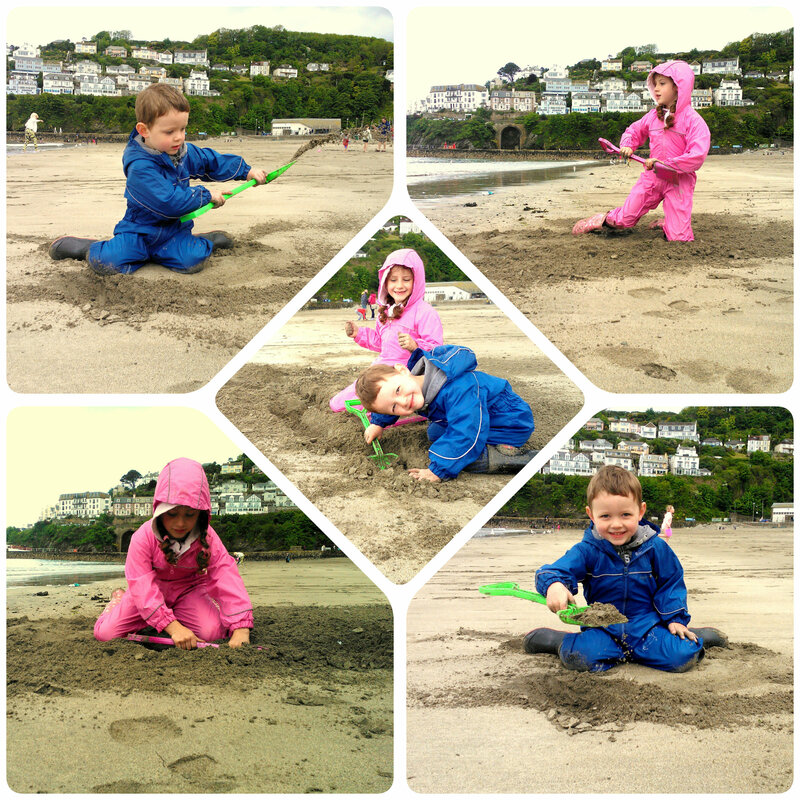 All in all a successful day at Looe, my children love the beach whatever the weather and being somewhere we can travel to in just under an hour, it’s a great day out that always guarantees fun and excitement. As you can imagine, after something to eat and a hot bath, they slept soundly through the night after a day in the fresh sea breeze.